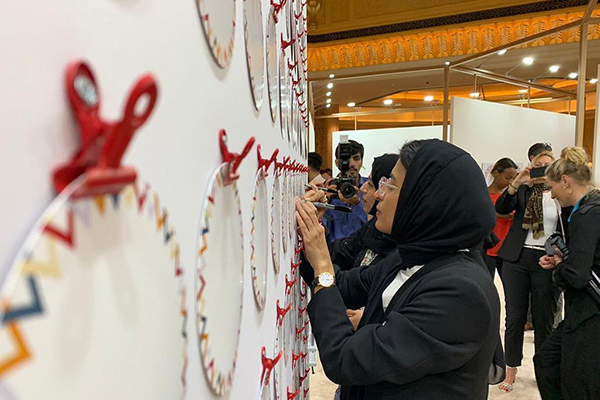 AMIDEAST is pleased to partner with the U.S. Embassy Abu Dhabi and the Special Olympics to organize an Inclusive Art Gallery, featuring photographs, paintings, sculptures and artworks created by local and international artists with and without intellectual disabilities. The Inclusive Art Gallery celebrates inclusion and the talents of people of determination. It will also feature the AccessAbility exhibition, which tells the individual stories of people with disabilities. Located at Abu Dhabi’s Emirates Palace hotel, it will be open to members of the public from March 14 - 23. The Special Olympics World Games Abu Dhabi will be the largest sports and humanitarian event in the world in 2019, with over 7,500 athletes and 3,000 coaches, representing more than 190 nations, participating. It will also be the first ever Special Olympics World Games to be held in the Middle East and North Africa.